The real Bitcoin criminals? U.S. secret agents! Two former US special agents have been charged with stealing large amounts of digital currency while investigating the notorious Silk Road marketplace. The US Department of Justice (DoJ) alleges that Shaun Bridges stole more than $800,000 (£540,000) in Bitcoin. His colleague, Carl Force, has also been charged with money laundering and wire fraud. Best known for selling illegal drugs, Silk Road was closed in 2013 following raids by the FBI and other agencies. 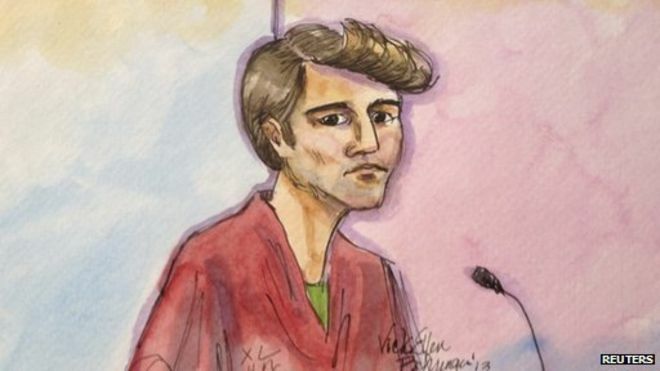 The man accused of running the site, Ross Ulbricht, was convicted in February, and prosecutors argued that he had earned about $18m in Bitcoin from the operation. Mr Force, who worked for the Drug Enforcement Administration (DEA), served as an undercover agent during the investigation into the Silk Road. The DoJ alleges that “without authority”, Mr Force “developed additional online personas and engaged in a broad range of illegal activities calculated to bring him personal financial gain”. “In doing so, the complaint alleges, Force used fake online personas, and engaged in complex Bitcoin transactions to steal from the government and the targets of the investigation. The 46-year-old is charged with wire fraud, theft of government property, money laundering and conflict of interest. Shaun Bridges, who worked for the US Secret Service, is charged with wire fraud and money laundering. The DoJ alleges that he transferred more than $800,000 in Bitcoin into an account at MtGox, a Japanese digital currency exchange that filed for bankruptcy in February. “He then allegedly wired funds into one of his personal investment accounts in the United States mere days before he sought a $2.1m seizure warrant for Mt. Gox’s accounts,” the DoJ says. Both men appeared in a San Francisco court on Monday.